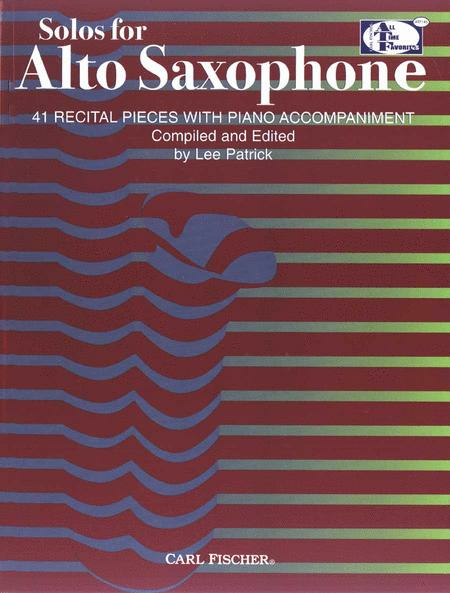 Renowned saxophone pedagogue Lee Patrick has compiled this comprehensive collection of solos for saxophone for the All-Time Favorites series. Modeled on the previous books for flute, clarinet, trumpet and trombone, this 144 page book covers repertoire from grades two through five. Many of these titles are on state Required Music and Festival Lists and all the solos are wonderful for teaching musicianship to players of all ages. Music by Arne, Bach, Bizet, Brahms, Debussy, Franck, Gossec, Haydn, Mozart, Rossini, Telemann, et. al. including such gems as: the Sicilienne from Pell?as et M?lisande (Faur?) and the celebrated Tango by Isaac Albeniz. 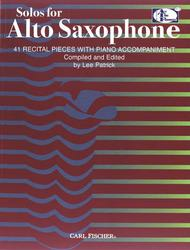 This is an essential repertoire collection for all saxophone teachers and performers.